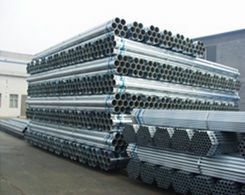 In the production process of high frequency welded steel pipe, the operation would affect the quality of final products. Due to the difference between welding technology, the features including welding current, welding pressure, welding speed and angular aperture are not all the same. As one of key parameters, it is hard to measure the welding current. Thereby, we replace it with the input heat which could be expressed by the output power of the oscillator. If the output power is not enough, the edges which are heated could not achieve the welding temperature. The solid form would be retained and so the pipes would not be welded. On the contrary, while the edges are overheated, the melted metal would spill and form holes. The suitable temperature should be limited in the range of 1350 to 1400℃. Another key parameter of welding technology is the welding pressure. 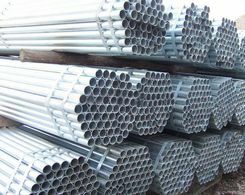 While the edges of pipes are heated to the proper temperature, they are welded together under the action of pressure. 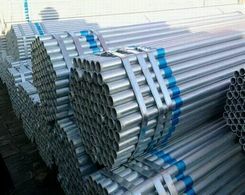 The welding pressure would influence the strength and tenacity of the pipes. If the pressure is too little to extrude the nonmetal mixtures and metallic oxide contained in the welding lines, the pipes is easy to crack under pressure due to the weak welding joint. On the contrary, while the welding pressure is too huge, a majority of metal would be extruded. As a consequence, the strength of joint would be reduced and at the same time, rag would appear at both external and internal surface. So it is necessary to apply suitable welding pressure according to the specifications of pipes. Generally, the pressure should be larger than 20MPa and less than 40MPa. During the production of high frequency welded steel pipe, the faster the welding speed is, the better the quality would be. With the shortening heating period, the width of heated areas would be narrowed and the forming time of metallic oxide is reduced. On the other side, the low speed would lead to series of drawbacks. That is why the pipe manufacturers should choose the fastest welding speed as long as the welding devices and machines could afford. And according to the manufacturing experience, the angular aperture should not bee too large or too small. The proper dimension is among 2 to 6°.